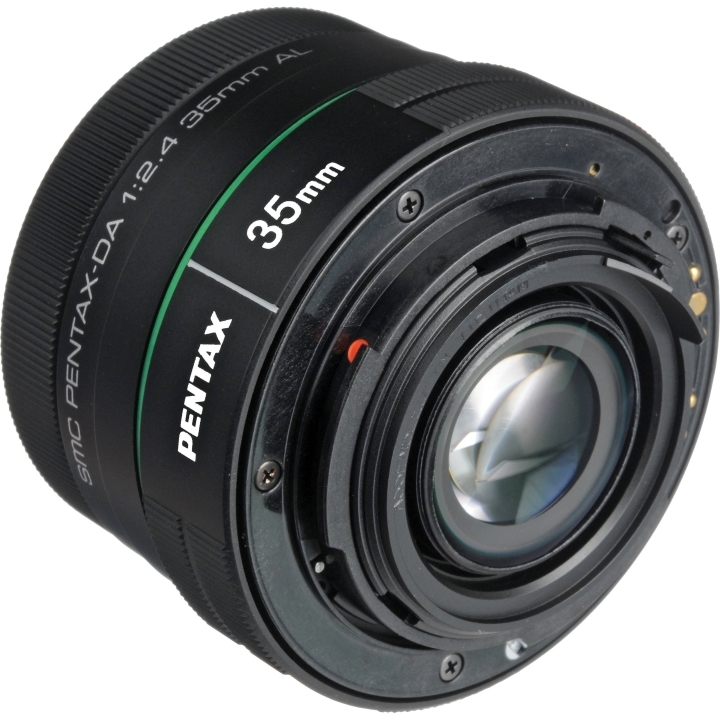 When this lens is attached to a PENTAX digital SLR camera, this enables a focal length equivalent to 53.5mm in the 35mm film format. 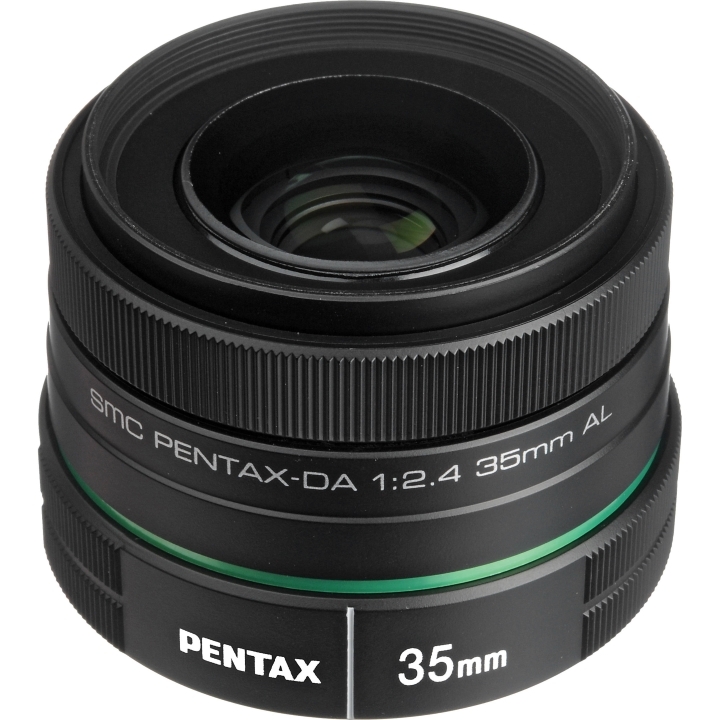 This is a standard lens for enabling shooting at an angle of view near the natural human visual field and is ideal as a regular-use lens for shooting snapshots, landscapes, portraits, and a variety of other subjects. 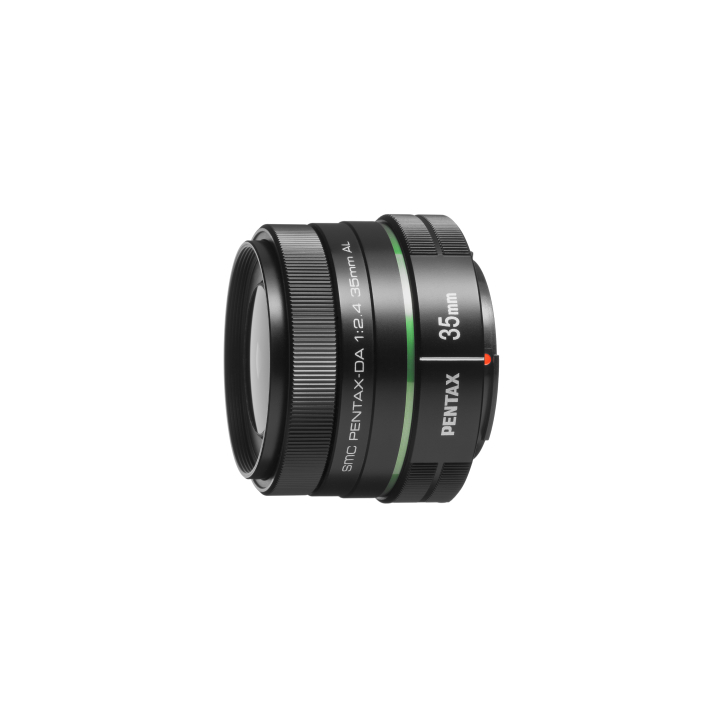 This lens uses hybrid aspherical lenses for correcting various types of aberration and providing a sharp image quality with high contrast from the minimum to maximum distances and delineation performance up to the edges with an open aperture. Also, this lens uses a ghostless coating for minimizing flare and ghosting that can effect imaging performance for enabling the shooting of clear, high-contrast images even under backlighting and other adverse conditions. The lens provides a bright open F value of 2.4. This enables easy visibility with the viewfinder and shooting at high shutter speeds even in dim locations for reducing the adverse effects of hand shaking. 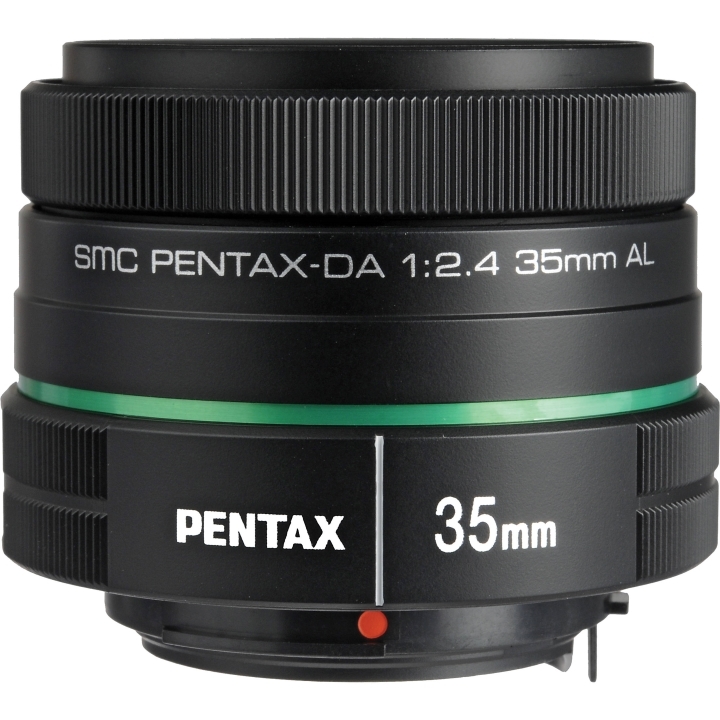 Weighing about 124g and having a total length of only 45mm, the compact, lightweight design of this lens makes it easy to carry around and allows you to enjoy shooting with quick footwork.